dish. The preparation is easy and the results are marvelous. You can prepare it the night before in your slow cooker if you want, but I prefer to use my pressure cooker for quicker results. For these tacos, I’m using a recipe from one of my aunts, except I’m serving the meat in corn tortilla tacos bathed with the cooking broth, just the way they’re served in a popular taqueria in my hometown. 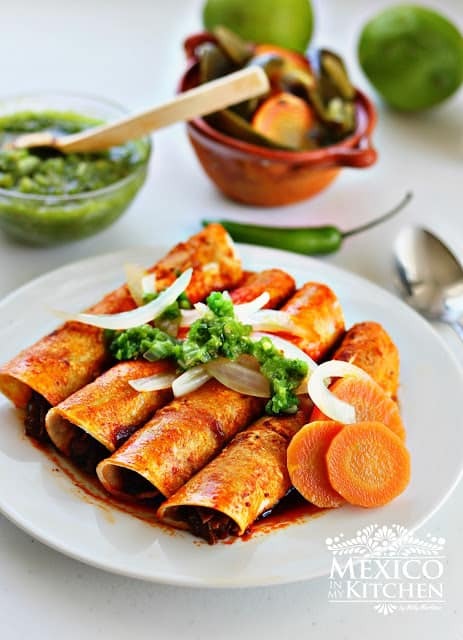 My aunt used to make them with homemade flour tortillas. They are also popular for breakfast and lunch in Ciudad Madero, Tamaulipas. You can also use a combination of beef cuts, like beef shank or short ribs, besides the beef cheek meat. Place the peppers in a medium-sized saucepan and cover with water. Cook over medium heat for 15 minutes or until they have softened. Once the peppers are soft, place in a blender with the garlic, oregano, and cumin. Process with a cup of the cooking water until you have a smooth paste. Next, remove the excess fat from the meat and cut into 2 or three pieces, and place in a pot with the onion and the bay leaves. Pour the sauce using a sieve and add 3 1/3 cups of water. Cook for 2 ½ hours or until meat is tender and easy to shred. if you cook it in a slow cooker, cook for 6 hours in the slow setting, or in a pressure cooker for 50 minutes. Once the meat is cooked, remove from pot and shred using two forks. Place meat back in the pot, and season the delicious broth with salt and pepper. To make the tacos, place meat in the center of the tortilla, roll up, and when ready to serve, spoon some of the broth over the tacos. Top with the jalapeño and onion slices and Serrano salsa. 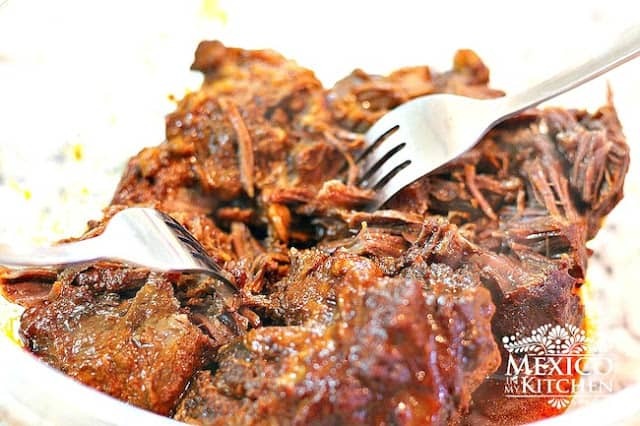 Beef barbacoa cooked in a dried pepper sauce can either be made with one type of meat or with a combination of several cuts of meat. However, using only beef cheek for this barbacoa recipe makes an absolutely scrumptious dish. What are your favorite tacos? Mmm.. sounds & looks wonderful.. Wish I could find some cheek meat here in Ohio. Visit the Rumba Meat website, and check their store locator. I found out there are several places in Ohio that sell their products. We purchase our cheeks from U.S. Wellness Meats located in Missouri. All of the meat we buy is grass fed so it is not only healthy it is has good flavor. We have purchased steaks, liver and chicken. Their chicharrones (fried pig rhinds) are so good! 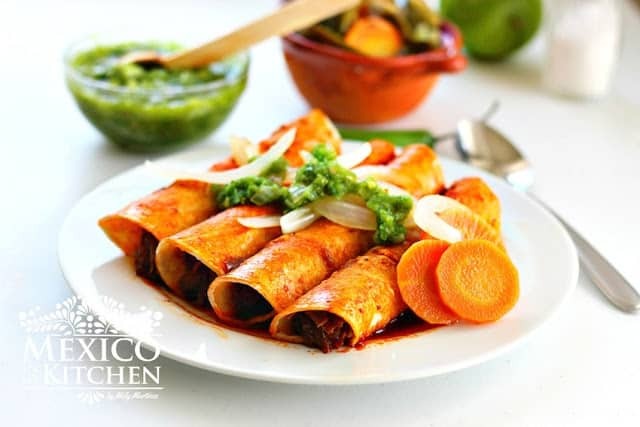 These tacos look more like enchiladas, but I bet they are delicious! My family has always made barbacoa de cachete without the red sauce. Now I'll have to try this recipe. Thank you. Thank you Mely!!!! Love you!!!! 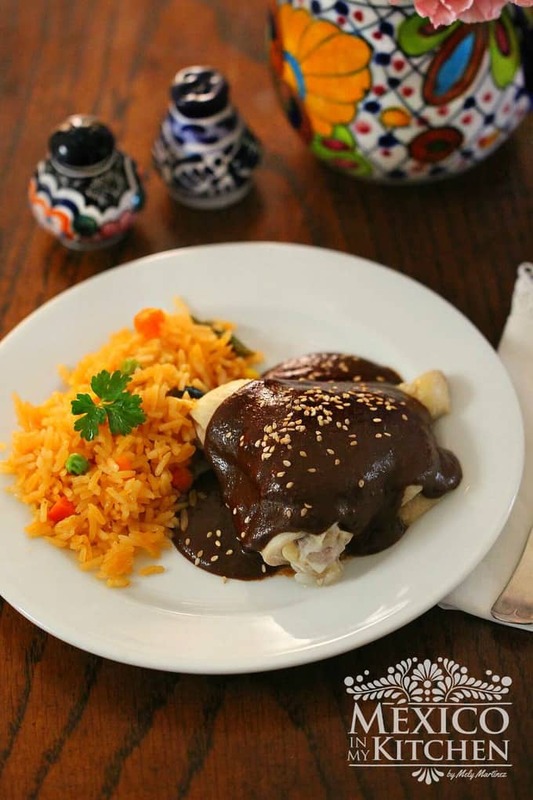 Thank you for coming back, I bet there tacos using pork will be as tasty as using beef cheek! Happy cooking! Thank you so much! Was looking for a recipe close to what my grandma made and it's perfect! I cooked my barbacoa with beef cheek for 20 hours on low and came out amazing!! I doubled the amount as i had 4 pounds of meat ♡ Thank you again!!! You can also use beef ribs and chuck meat. They take longer to cook but are more flavoful. Do you have a smoked or grilled version of beef cheek taco? Sorry, but I don’t have it, now I want to make it! Turned out great! Thank you for the recipe!